Teaching each player various positions on the court is important. To help encourage floor spacing and floor balance, the following diagram is provided. Positions 1 and 2 refer to guards. Position 3 is a small forward, and Positions 4 and 5 are post players. Alternately, for younger age groups, one might consider Position 1 as the point guard, Positions 2 and 3 as the wings, and Positions 4 and 5 and the forwards. Point Guard (Player 1): Operates around the perimeter, calling plays and directing the offense. The point guard should be skilled at ball handling and dribbling, with the ability to penetrate and create offensive/scoring opportunities for their team. Main responsibilities: Direct the offense, dribble and pass the basketball, and be the first player back on defense. Shooting Guard (Player 2): Operates around the perimeter, looking to create and take open shots. The shooting guard is normally a great shooter and is skilled at ball handling and dribbling, with the ability to drive to the basket. Main responsibilities: Shoot mid-range to long jumpers and dribble-penetrate. Small Forward (Player 3): Operates around the perimeter as well as near the basket. A well-rounded player, the small forward is capable of shooting from anywhere on the court. Main responsibilities: Shoot short to mid-range jumpers and rebound. Power Forward/Post Player (Player 4): Operates near the basket. The power forward moves around the basket, posting up on the block and flashing the lane in an attempt to get open. Main responsibilities: Set screens, rebound, and take short jumpers. 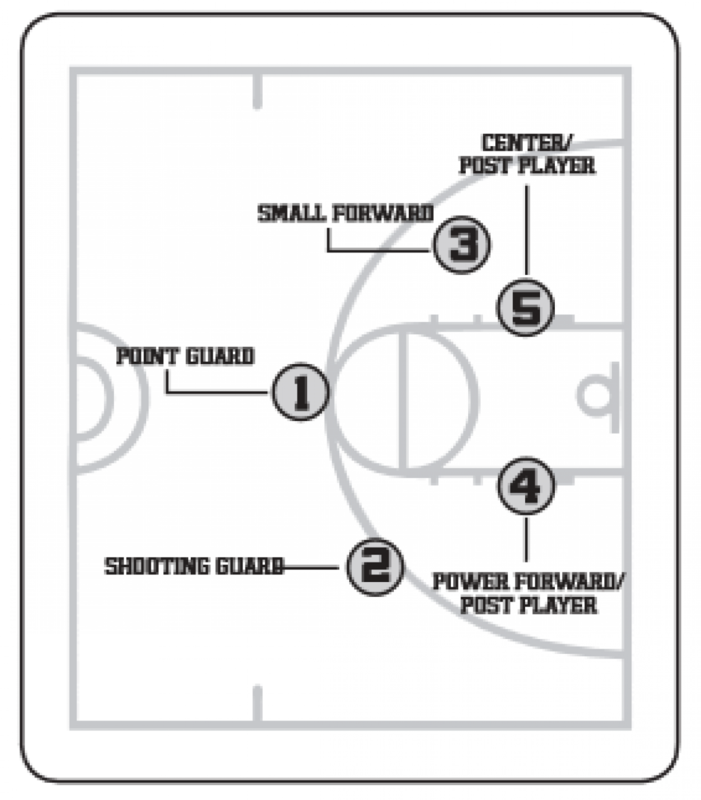 Center/Post Player (Player 5): Operates near the basket. The center moves around the basket, posting up on the block and flashing the lane in an attempt to get open. Main responsibilities: Set screens, rebound, and take short jumpers.